Ms. Swaran Lata, Director & Head, TDIL Programme, DEITY, heads the Department of Information Technology-managed national strategic programme, Technology Development for Indian Languages, and ensures that its mandate ‘to take ICT to the grassroot through localization of operating systems, building linguistic resources and facilitating localization of applications especially the localization requirements of e-gov’ is realised. She is a member of various international standardization bodies including ISO, UNICODE, W3C and ELRA. 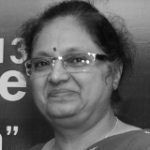 She heads the Indic Task Force of W3C internationalization Core Group, and has played a key role in finalizing the UNICODE encoding system for 22 Indian Languages and Vedic Sanskrit. Ms. Lata also heads the Content development team of Indian Language Technology Proliferation and Deployment Centre [ILTP-DC]. She is the Editor of Vishwabharat@tdil, a quarterly journal for the dissemination of TDIL programme outcomes. 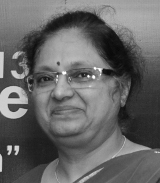 Ms. Lata has a Bachelor’s degree in Electronics & Communication with a Gold Medal from Thapar Inst. of Engg & Technology and an M.Tech in Computer Technology from IIT Delhi.